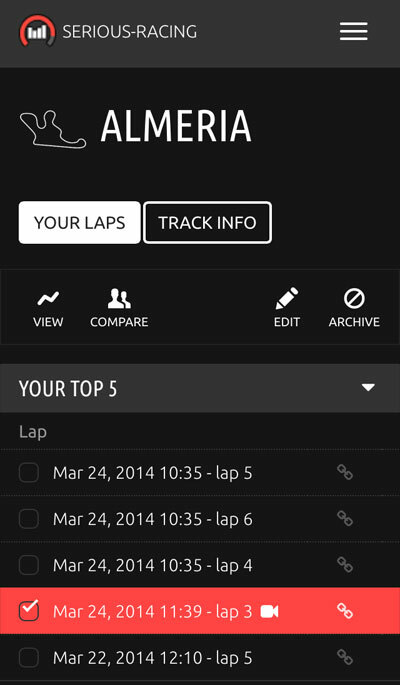 Compare laps. Explore tracks. Log vehicle upgrades. Get faster. 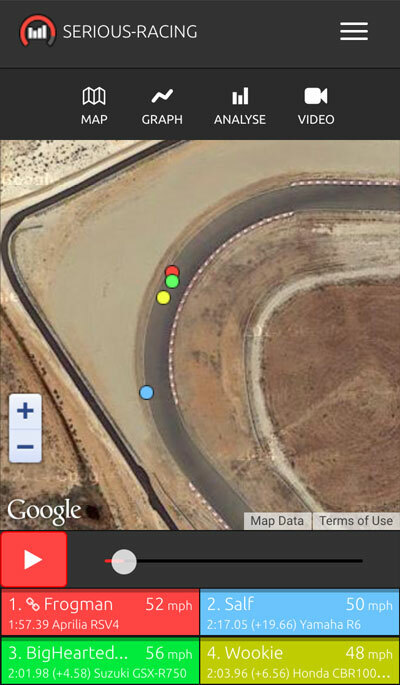 Serious-Racing is a free web app for anyone who's into cars, bikes, or karts. 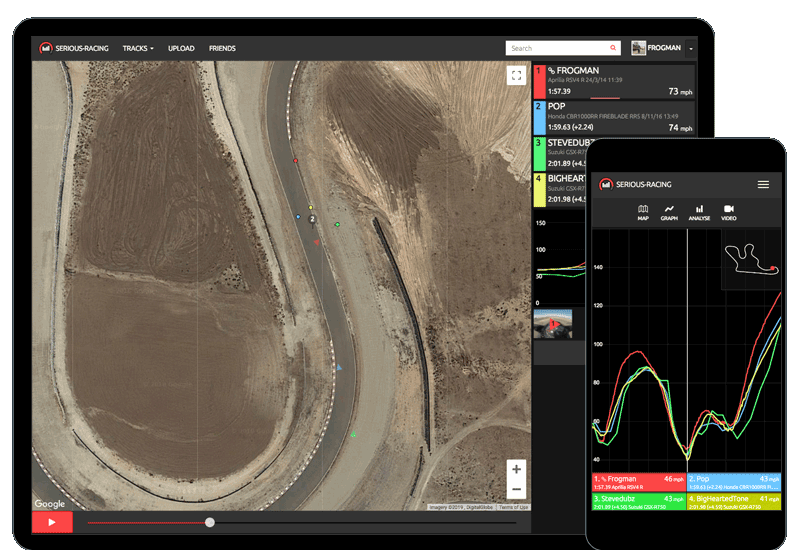 You can use it on your phone or computer to analyse your performance and compare laps from your existing GPS lap timing system. 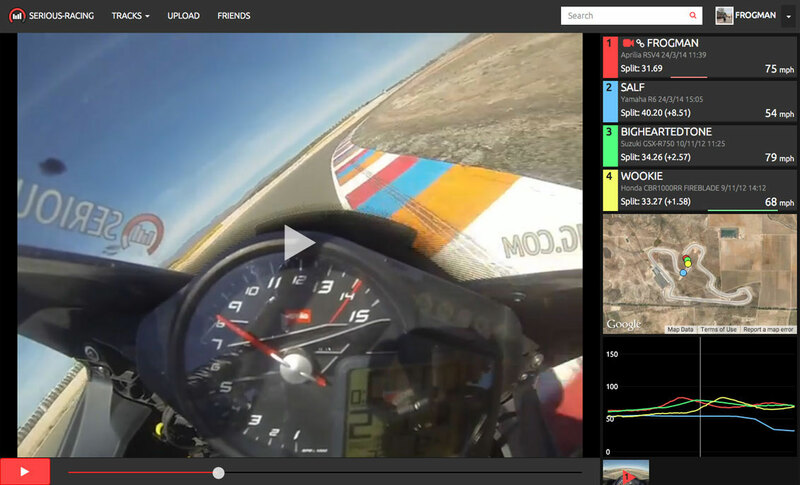 Or turn your GoPro HERO with GPS into a lap timer. 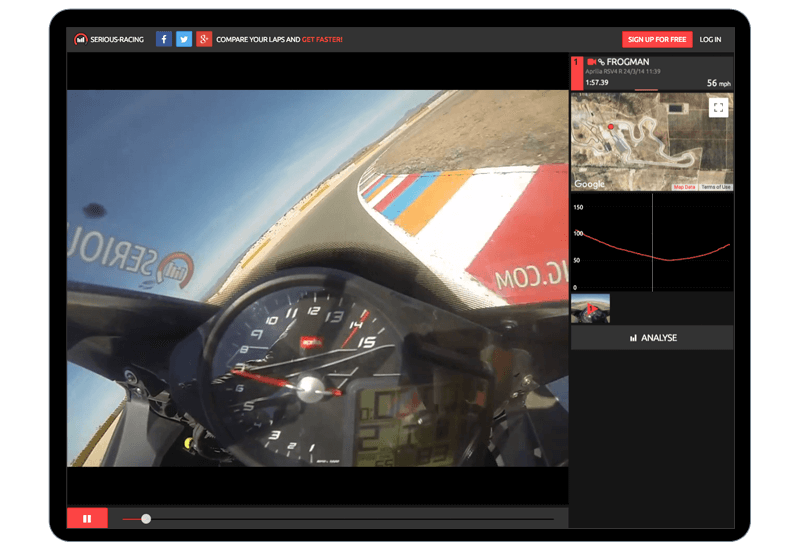 Even if you're not doing trackdays yourself, you can explore tracks all over the world and see shared laps with on-board videos. Create a page for your car, bike, or kart and keep track of upgrades, products, settings and everything else you do with your vehicle. Check out other people's rides and ask for advice. Add photos and notes. Review upgrades and parts. 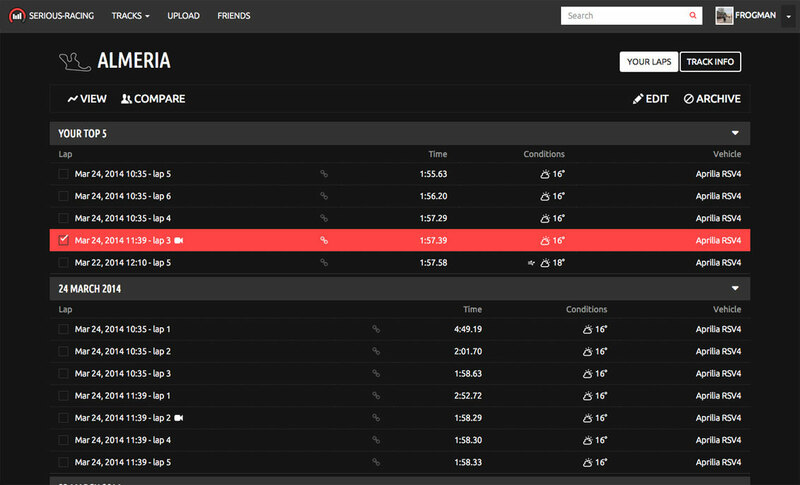 Get geeky with settings and specs. See who’s fastest. 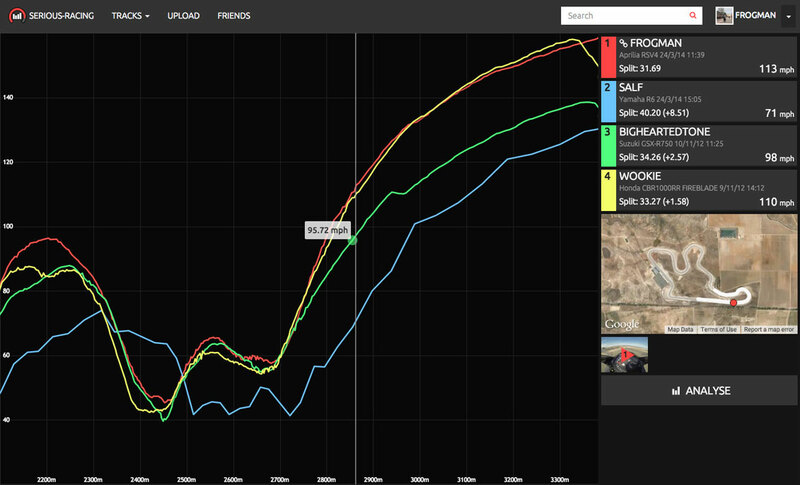 Prepare for trackdays. 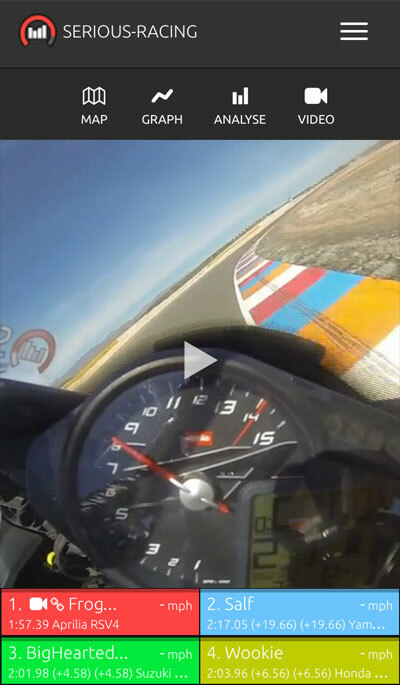 Check out shared laps and on-board videos. Serious-Racing works with any track, even the one in your back yard. 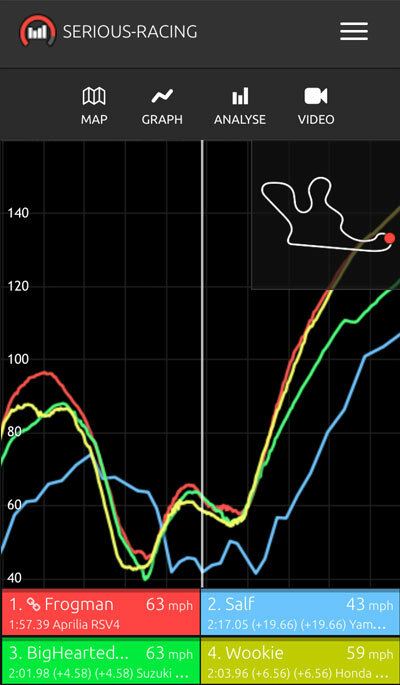 Replay the race on a map and see braking and acceleration markers. 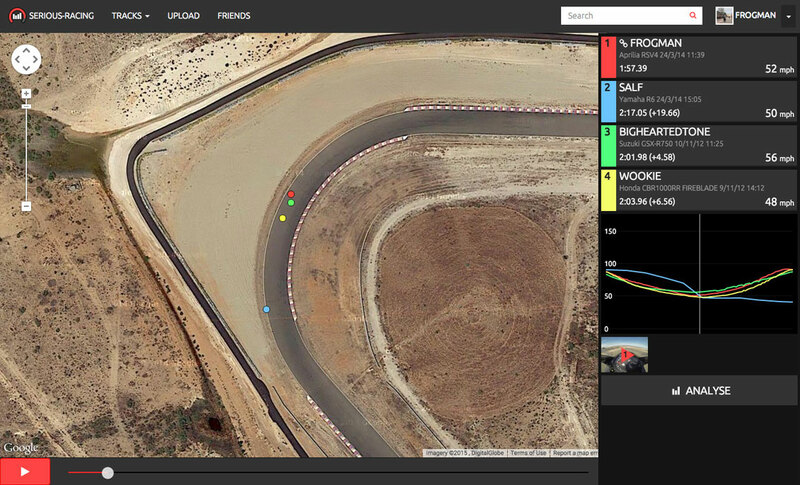 See your weakest and strongest track sectors. Compare with friends to see who’s faster and why. Add Youtube videos to your laps and share on Facebook, Twitter, and anywhere else.